It was Monty Don talking last night on Radio 2 which has inspired this short return to the blogging typos-phere. Speaking on the Simon Mayo show Monty discussed amongst other things January, and that while it is a bleak month in many ways, day by day, little by little, things are changing in the garden, and of course the wider countryside. I've just returned from a lunchtime walk - while the northern half of the country is blanketed in snow, here in Clifton, Bristol it is sunny and a balmy 6 degrees. Three weeks ago I lay in my sick bed. Aussie Flu wracking my body into oblivion. Dark by 4pm, I felt the woes of midwinter terribly. This lunchtime however my walk rewarded me with a couple of occasions of wonderful scent from winter shrubs. Where these shubs were I could not say, but their sweet scent filled a small patch of air. Robins sang lustily, at the Cathedral the early daffodils I've mentioned many times on this blog are at their very best (our pot daffodils were out in December). In a garden not far from work is a huge magnolia, under planted with spring bulbs, bulbs that are often out a week or so earlier then elsewhere. 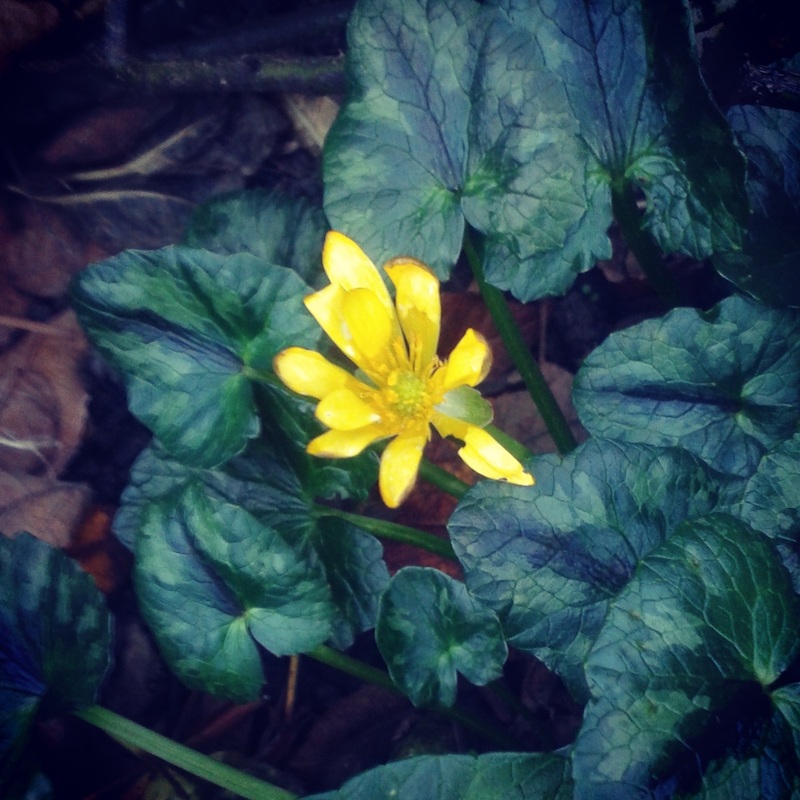 Snowdrops a plenty, a couple of crocus, and joy of joys a splattering of winter aconite. Celendines are out in the garden back at at home and the many corvid pairs around the village are in the trees, twigs in beak. And it is still light at 4.30 in the evening. January can be a bleak month in many ways, however I'm with Monty. Day by day, little by little, things are changing in the garden, and of course the wider countryside. Hope you are feeling fully recovered from the flu Andrew. It is lovely to see Spring flowers starting to appear and the nights slowly drawing out. Wishing you a Happy New Year. Andrew, so glad to see that you're still posting. I've been rather erratic re: blogging. It always seems to be the same old, same old, here with me so I wonder what's the point of writing. However, I'm trying to do more now. Imagine, you have snowdrops and other plants already out. What I wouldn't give to have your winters.